Leonardo DiCaprio today confirmed that things are moving along with Clint Eastwood's Hoover biopic and shooting is set to begin early next year. DiCaprio and frequent collaborator Martin Scorsese took part in a Q&A presentation entitled, “Leonardo DiCaprio and Martin Scorsese in Conversation.” The event was held at the Egyptian Theatre in Hollywood, California and was an hour long info-fest for members of the press and the American Cinematheque. "It looks like, yes, infidelity is in place," joked DiCaprio of joining a non-Scorsese film, "I will be working with Clint very soon on the Hoover project. I think it's going to start very soon. Maybe January or February." DiCaprio is set to star as the biopic's focus, J. Edgar Hoover, who founded the Federal Bureau of Investigations in the 1930's and whose ensuing career spanned decades. Joaquin Phoenix has also been attached to play Hoover's lover and protégé, Clyde Tolson. Scorsese, meanwhile, updated the progress of his next film, Hugo Cabret, currently shooting in England with the production marking a first attempt at 3D filmmaking for the Oscar winning director. "It's going. It's been an experience..." said the director, "Every time you set up the camera, there's the geometry and everything. You're really redefining and trying to figure out how to tell the story again with pictures and this 3D, which is really interesting. And of course it's a film that's a fable... We've been shooting for quite awhile. We only have a few more weeks, I hope. I hope to get it out by next year." Scorsese also mentioned in passing that he still intends to film a biopic of Frank Sinatra, though it is uncertain whether it will be his next project. 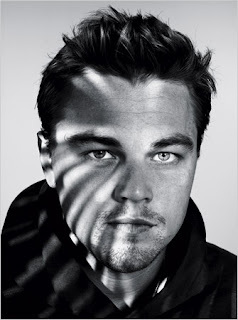 I'm reading: LEONARDO DICAPRIO CONFIRMS HIS ROLE AS CLINT EASTWOOD'S [HOOVER] & SHOOTING BY FEBRUARYTweet this!